Anti- Bullying Week takes place in England from November 12th to the 16th. This nationwide event is organised by the Anti-Bullying Alliance and is intended to raise awareness of the issue of bullying among children, especially in schools. 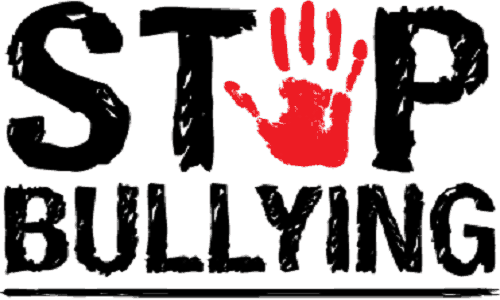 Children of all ages are encouraged to get involved in the event and take part in activities in school that will help to shine a lig ht on the problem of bullying and ways to help resolve the issue. 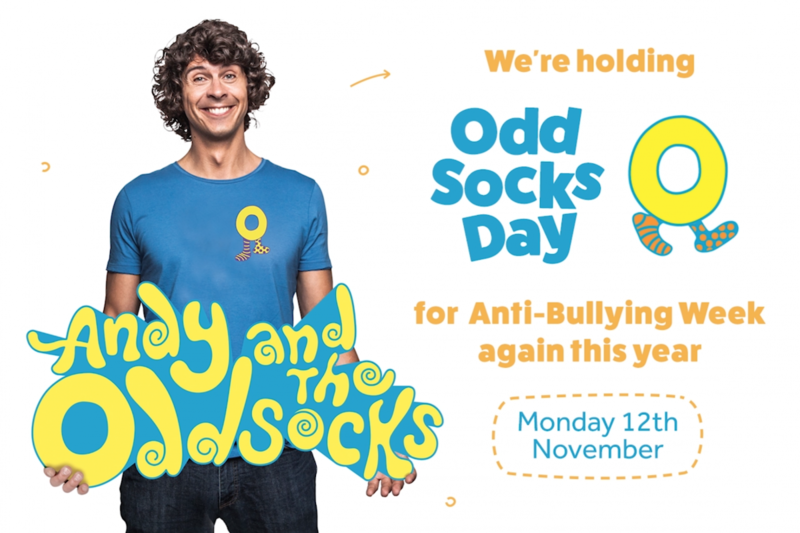 We are having an Odd Socks day on Monday 12th November. This means that children can come to school in odd socks. We will join many other schools doing the same thing to celebrate pupils’ individuality and uniqueness. There is no pressure for you to buy or wear the latest fashion socks. All we want is for children to take part and realise that whilst we are all very similar we are all different. The day is designed to be fun! St Matthew's began anti-bullying week by holding an Odd Socks Day . This day is designed to be fun and the photographs show how much the children enjoyed this activity. It was an opportunity for children to express themselves and celebrate their individuality and appreciate what makes us all unique! ... Odd Socks day will help raise awareness around anti-bullying. Mentors, School Councillors and Teachers all met today to ensure that their roles on the yard were clear. They all want to make sure that playtime at our school is the best it can be. In every zone you will find lots of play resources and people who will play with you. If you are worried, upset or need a friend please ask for help. We now have new eye-catching School of Sanctuary and wellbeing displays in our school . This week is Online Safety awarness week at St Matthew's. Natalie, from Bully Busters joined us for assembley and we learned all about 'safe hands'. Every finger on your hand represents someone who you trust. if something online is upsetting or doesn't 'feel' right, you must tell someone! Andy Codd, Road Safety Coordinator from Liverpool City Council visited St Matthews. As part of Liverpool City of Sanctuary, St Matthew’s Catholic Primary School has now gained the status of School of Sanctuary. 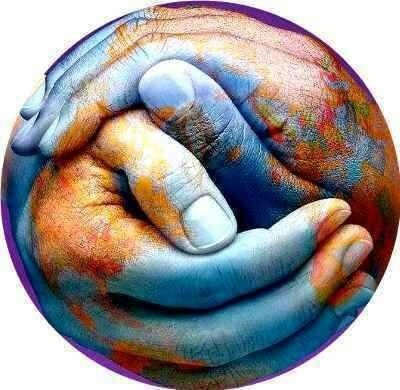 This recognises our inclusive and welcoming ethos towards all our migrant families from all over the world. We value people for our differences as well as our similarities and support their settling into our community. These are just a few of the art pieces created by our pupils that will form part of a Welcome Display within school. Hands of Friendship is a continuation of our status as a School of Sanctuary. At St Matthew’s we appreciate that each person is uniquely created and loved by God. We respect their worth their value and their contributions to school life. In upholding and developing the distinctive ethos of a Catholic school we embrace the principles of inclusion, equality and diversity. We ensure that every person is treated with respect, fairness and dignity and actively promote the values of tolerance, understanding and justice for all within the school and in the wider world. At St Matthew’s Catholic Primary School we focus on the well- being and progress of every child and believe that all members of our school community are of equal worth. We are a school of sanctuary and will always offer a welcoming hand of friendship to all who come to our door. We believe that the Equality Act 2010 provides a framework to support our commitment to valuing diversity, tackling discrimination and promoting equality and fairness. We recognise that these duties reflect international human rights standards such as the UN Convention on the rights of the Child. The Lord Mayor of Liverpool, Nick Small, Curtis Watts, Jill Rolands and Donna Palmer visited our school this week to see the wonderful work we have been doing for School of Sanctuary and Hands of Friendship. Special 'friends' visited our school today to see the wonderful work we have done to recieve the status of School of Sanctuary. Jill Rowlands, Nick Small, Donna Palmer and Levi Tafari were very impressed with our fantastic pupils. They enjoyed visiting our Raindrops session. It was great fun to see the little ones dancing to our friendship songs. Playground mentors at St Matthew's are a friend to anyone! Year 2 storytime with Donna from Emtas. Great stories to relay important citizenship messages. Thanks Donna we think you're so funny! Some of our school Mentors came to say goodbye today. Class 1P wish them all the best in their new schools.